Since I couldn't put down Sharp Objects or Gone Girl I decided to read Gillian Flynn's book Dark Places. It's been a slow start compared to her other two books, but now that I'm really getting into the storyline I can't seem to stop reading. This book went everywhere with me this weekend and was always close by in my apartment. If you enjoyed Gillian Flynn's other books you'll love this page turner as well. Oooh...will have to check out. Loved Gone Girl! 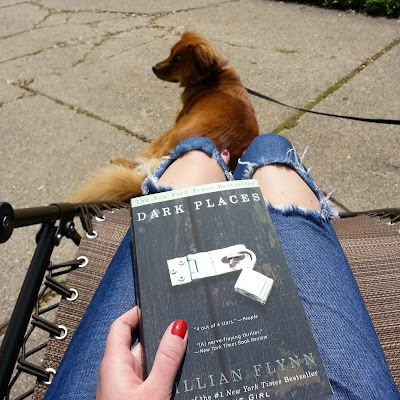 Dark Places gets really good towards the middle. I loved all 3 of her books.. Now if only she would come out with a 4th. i'm almost done with sharp objects! dying to hear what you think of this one!